my 6-year-old and I saw the movie theater preview, we marked our calendars, saved the date, and began our official countdown to opening day until ninja forces unleashed in The LEGO NINJAGO Movie. Thank you to the promotional teams from Warner Bros. Pictures and LEGOLAND Discovery Center Westchester for the invitation to attend a media screening preview event. Here's the story, there's a battle for NINJAGO City in which Master Builder Lloyd, AKA the Green Ninja, with his secret ninja warrior friends are called to action. Following leadership from wise Master Wu, the ninjas join together to defeat monsters, villians, and the evil warlord, Garmadon, The Worst Guy Ever, also, he's Lloyd’s dad. 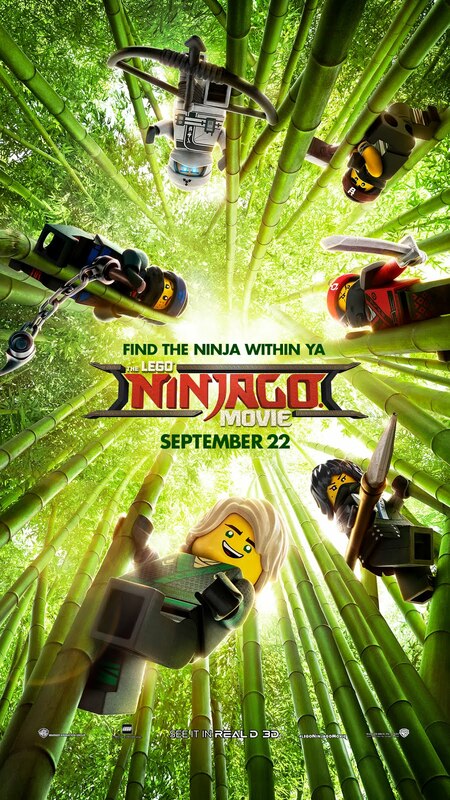 The LEGO NINJAGO Movie proves to be an epic showdown testing the ninja skills of Lloyd, Jay, Kai, Cole, Zane and Nya, who must learn to pull together to unleash their inner powers. The LEGO NINJAGO Movie stars Dave Franco, Justin Theroux, Fred Armisen, Abbi Jacobson, Olivia Munn, Kumail Nanjiani, Michael Peña, Zach Woods, and THE legendary Jackie Chan. Entertained by every moment, my son was thrilled by the big screen action and adventure of The LEGO NINJAGO Movie. Delivering plenty of laughter while also offering a touching message about personal and family relationships, we went surprisingly deep emotionally in our family recap of the movie. The LEGO NINJAGO Movie soundtrack is also ninja-approved! We've got it here for you to check out! LEGOLAND Discovery Center Westchester, New York’s largest box of LEGO bricks to play in, is celebrating the opening of THE LEGO NINJAGO Movie from Warner Bros. Pictures with five supercharged LEGO NINJAGO Movie Days on September 22-24 and September 30 - October 1. Guests can join their favorite ninjas – Lloyd, Jay, Kai, Cole, Zane and Nya – and experience their own action-packed adventure at the Ridge Hill attraction. Kids and families are invited to a ninja-themed MINILAND scavenger hunt; LEGO build activities including a big mosaic build of Lloyd, the Green Ninja of Energy, and more. 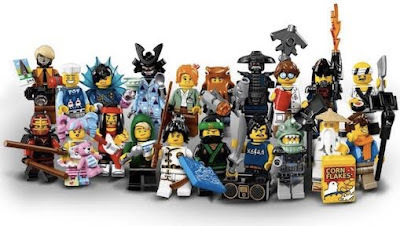 Guests can decode the secret language of NINJAGO with LEGOLAND Discovery Center Westchester’s Master Model Builder Anthony Maddaloni, win prizes including a family four pack of annual passes, and attend a meet and greet with Kai, the Red Ninja of Fire. Families are also encouraged to explore their inner ninja with a visit to LEGO® Ninjago City Adventure– a fun-filled, two-story, interactive play area. Modeled after the Temple of Airjitzu, LEGO® Ninjago City Adventure puts guests’ physical skills to the test as they fight to save Ninjago City. Adults and children will test their balance, agility, strength and endurance to become a Spinjitzu Master, while experiencing more than 20 interactive features. LEGOLAND Discovery Center Westchester is located at 39 Fitzgerald Street in Yonkers, NY. For more info and tickets, visit LegolandDiscoveryCenter.com/Westchester. Find the Ninja in Ya!